Have you marked your calendar for Linda Landy's classes? Linda Landy, author of Textured Bead Embroidery published in October 2014, will be coming to BeadFX to teach three exciting classes. Linda's classes are applicable to all experience levels, whether you are an experienced bead embroiderer or are learning about the techniques for the first time. 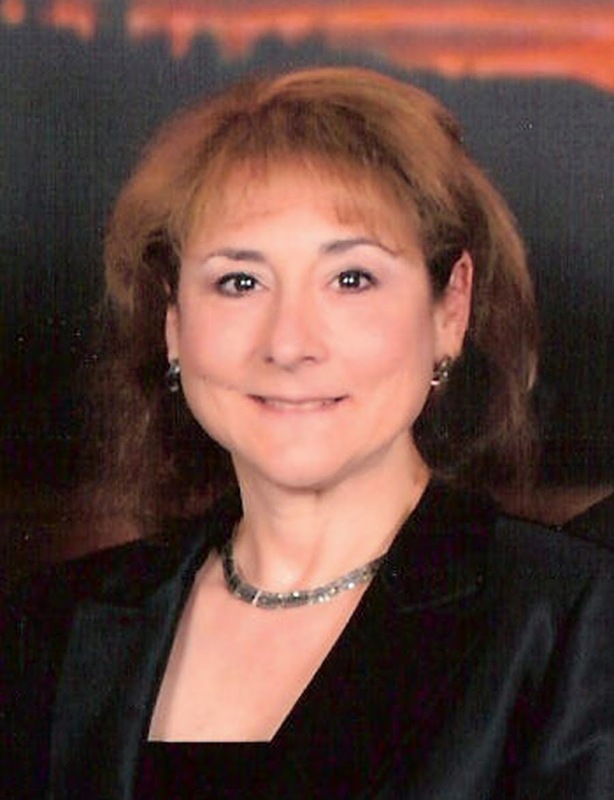 In addition to her classes, you will also have an opportunity to meet Linda at an informal Meet & Greet on Friday, April 17 from 6:00 - 7:30pm. We will have copies of Textured Bead Embroidery available and Linda will have kits and patterns available for sale as well. 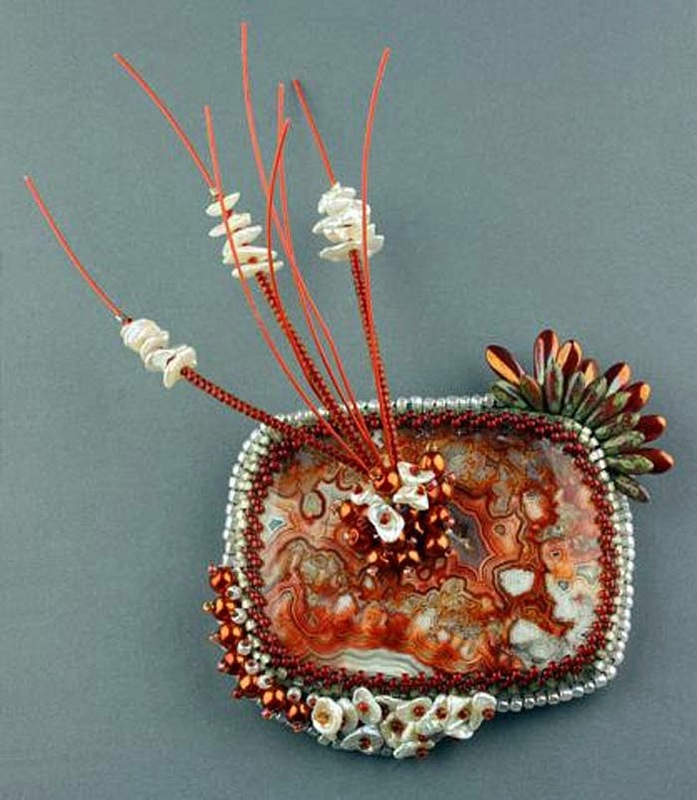 Designed for both novice and experienced bead embroiderers, Textured Bead Embroidery Workshop is an intensive study of a new approach to bead embroidery which features unconventional works that are sculptural, three dimensional, dynamic and very textured. During this hands-on workshop students will work with a wide array of seed, glass and pearl beads to create a bead embroidered cuff. Students will learn how to use pearls, drops, daggers, hexes, triangles, Czech glass and more in uncommon orientations to create dramatic effects. In addition to a review of the basics including backstitch, stop stitch, bezels, bails and fringe, students will learn specialty Textured Bead Embroidery techniques like layering and clustering; three-dimensional engineering; finishing options and the design concepts that give this format its distinctive appearance. All experience levels. Explore three-dimensional bead textured embroidery with these elegant cone-shaped drop earrings sprinkled with pearls and crystals in patterns inspired by art deco architecture. The secret to these light-weight earrings is the texture created by the blending of seed bead shapes, colors and finishes. Students will learn basic bead embroidery techniques including the back stitch and stop stitch on a printed template; how to transform it into a three dimensional cone; how to finish it with lining, edging, embellishment and fringe; and how to use wirework techniques to transform it into an earring.All experience levels. This brooch/pin takes bead embroidery to a new dimension by creating the illusion of fireworks exploding from the center of a natural stone cabochon. After the cabochon is bezeled and embellished with Keishi pearls, Czech glass daggers, glass pearls and more, a cluster of keishi pearls and wire is embedded in the stone. All experience levels. The class samples are on display at BeadFX now -- come out and see how beautiful they are! Complete information about each class is on the website, including materials to bring to class and any applicable kit fees.